The Guardian of the Bridges, Queensferry, Scotland. That's a really cool sculpture. Wow. 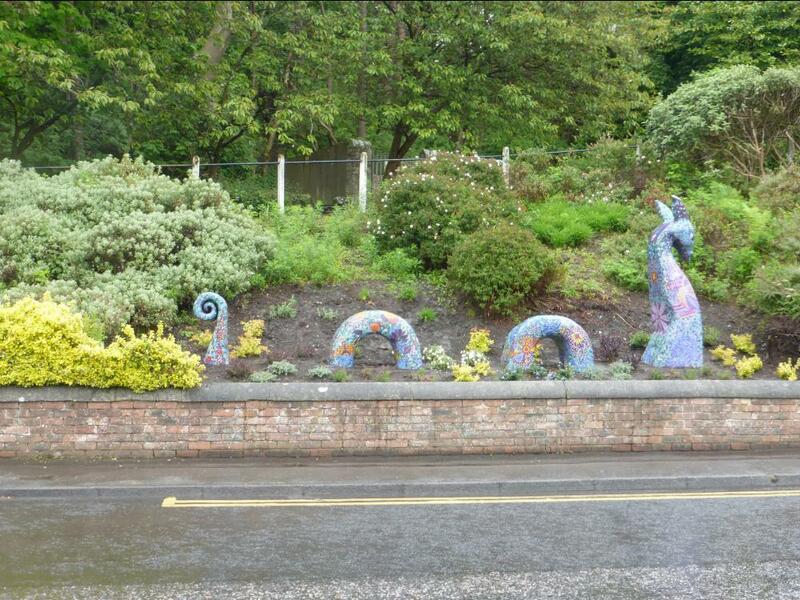 Oh, has the Loch Ness monster got lost???? There is a Lego sculpture in the lake at Disney World that is similar to this creature. I had forgotten about him until I saw your image. That is pretty - I love it! That is beautiful. Someone is very creative. What a great serpent! Looks like Ogopogo (the one who lives in Okanagan Lake). There are statues of him in a few places! What a cool sculpture! I've always been fascinated by Nessie! Is that supposed to be the Lock Nest Monster? :) Very cool, indeed! Thanks for visiting yesterday for a peak my A2Z Little Mermaid Carlotta art sketch! Awesome and delightful painted colors!